Sign up, and we’ll either deliver it to your doorstep, mail it to you, or you can pick it up at the Riverside Farmers Market! Whether you’re sharing your bucket with a neighbor or your family fills it to the brim weekly, don’t be shy with your compost heaps! 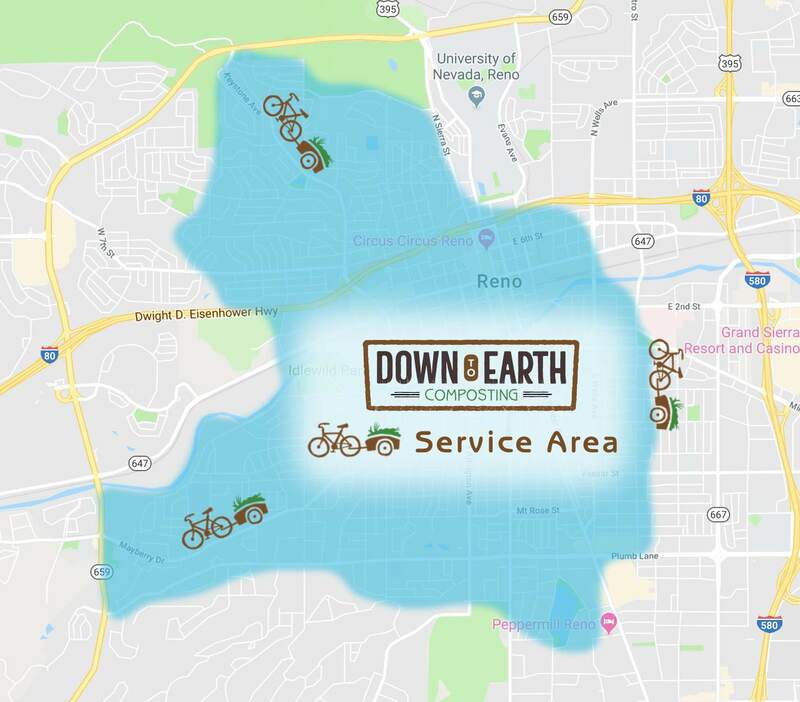 If you are in central Reno, our Rot Riders empty and clean your bucket once a week. In another neighborhood? 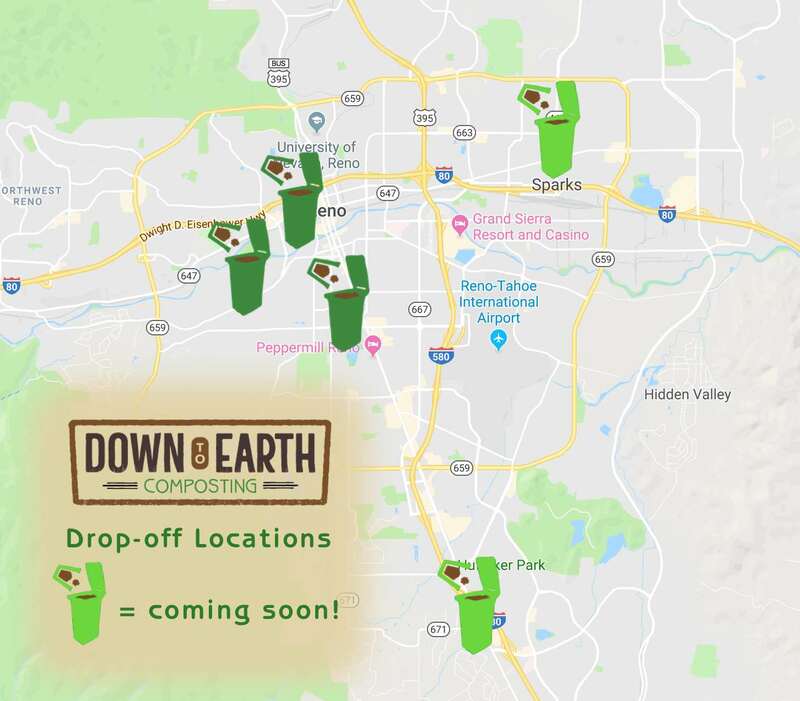 You can use one of our drop-off points! 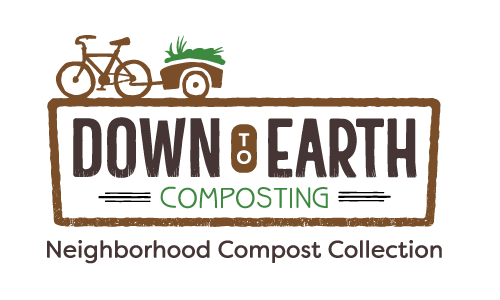 Members have the option to receive up to 40 gallons of finished compost each year for their indoor and outdoor gardening needs. Whether you’re sharing your bucket with a neighbor, or your family fills it to the brim weekly, don’t be shy with your compost heaps!